Hello again dear readers! Today I have another product sent to us from KKCenterHk for review. Water decals are another part of nail art that I adore, they're so easy to use and a perfect image is always transferred onto the nail. I have the N.NAIL Lovely Tones Common Cosmos Flowers Sea Water Decals to share today. 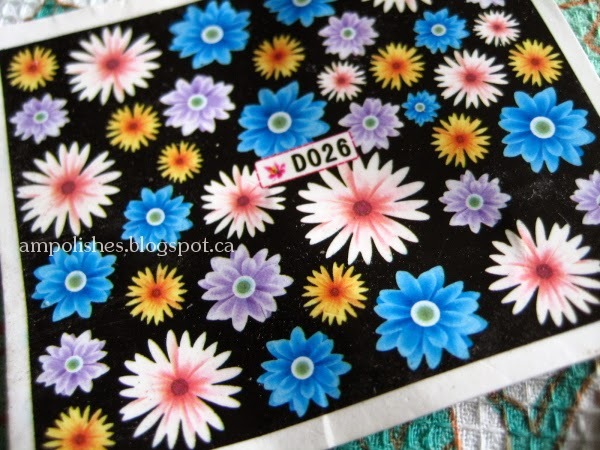 It is a full nail decal of various coloured flowers on a black background. The only thing I didn't like about the decal was that a light or white coloured base was needed before you could apply the decal otherwise the colour would not show up. 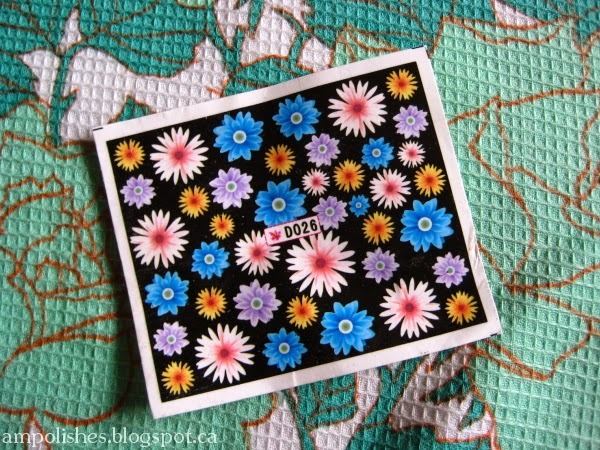 The coloured flowers were surprisingly sheer and I was surprised when I first placed them on my nail and could hardly see any detail or colour. A bit more work is needed with this type of full nail decal as well as you would need to individually cut out the decal to fit your nail. Otherwise the nail decal is pretty much fool proof application wise, as long as the decal is wet and the surface is wet as well it can be repositioned until you are happy with its placement. KKCenterHk offers worldwide shipping, shipping prices and times are dependent on where you are located. They not only sell nail items, they also have cosmetics, wigs, false eyelashes and clothing. They were extremely kind enough to give our readers a 10% coupon code. 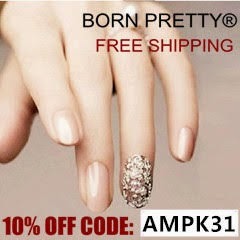 Just put the code ampolishes while checking out, this code is good until the end of the year!